Kindergarten is a very important milestone in a young child’s life. He or she will step foot out of their comfort zone and into a new world of learning, making new friends and starting a new level of responsibility. The night before school starts, each little one has their best outfit set out and ready to go. They need to make a nice first impression. Sitting right beside their outfit is one of the most important things a student can have, their backpack. A child will make sure this backpack showcases their style and personality where the parent is making sure it is sturdy and practical. It is hard to make all that work in one backpack but there are times where you will come across a few that do. A backpack should not cause a back pain or deformities. Below you will find a list of five great packs back, specifically suited for a kindergarten girl. 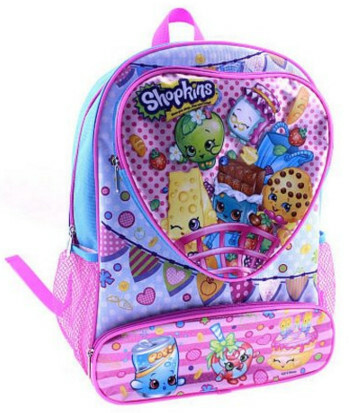 We will look at each backpack in detail and just as concerned parent like you, I will let you know some of the pros and cons that come along with them. Both backpacks brightly colored in pinks, greens, reds, blues and purples. They are made of 100% polyester and hand wash only. The backpacks are around 12 inches high and 3 and a half inches in depth. The straps are cushioned for comfort. Two mesh side pockets accompany these backpacks to hold bottles or sippy cups. Only one design available for this backpack, an Owl. 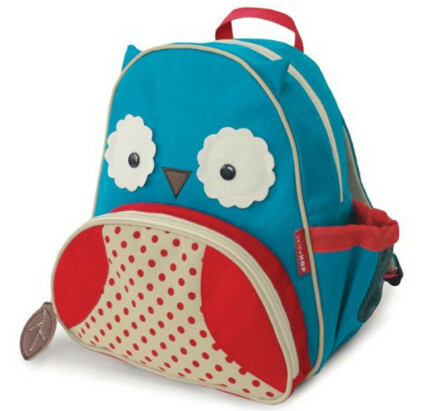 The Owl backpack is decorated adorably in reds, whites, and light blues. This backpack comes with an insulated pouch for snacks and one adjustable mesh pocket for drinks. 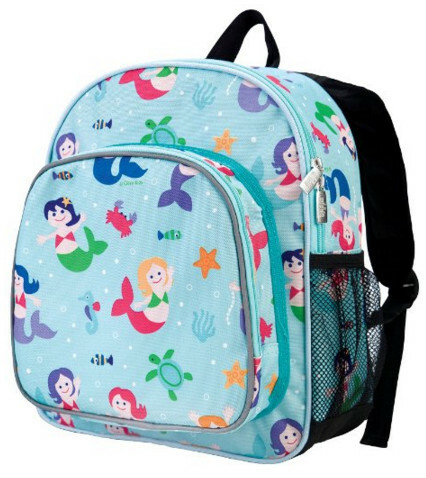 This 10 inches high and 4-inch deep backpack has adjustable padded straps with an easy wipe down cloth. This company offers many different backpack designs. All their backpacks are around 10 inches tall with a 6 and a half depth. The insulated front pouch will be useful for snacks, drinks or any snack item. There is one mesh side pocket in black that is a perfect size for a 12 oz. bottle. This company thinks about safety first for the child with reflecting tape on the front of the backpacks for night time awareness. 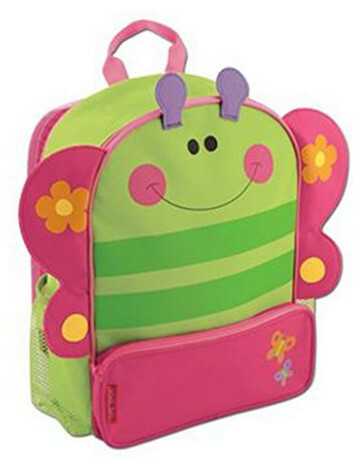 This adorable butterfly backpack stands around 12 inches high and 11 inches wide. 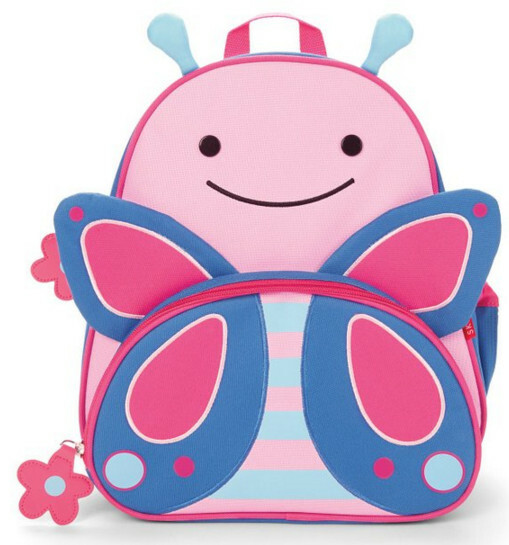 The pastel colors of pinks and blues showcase a fun design of a butterfly with matching flower zipper holders. Adjustable padded straps for comfort and size along with an adjustable mesh side pocket to hold up to a 16 oz. bottle or sippy cup. Roomy, insulated front pouch for snacks or school supplies. This retro styled backpack is 16 inches high and 12 inches wide. Bold colors are used in the design that showcases Shopkins characters. A heart shaped front pouch is perfect for school supplies while the rectangle, zipped bottom pouch is a perfect size for small snacks. Two side mesh pockets are great for bottle storage. The padded adjustable straps will allow comfort and room to grow along with the padded back for extra support. When buying a backpack, you need to remember to keep in mind what you are looking for as a parent. Most parents want the storage space. A kindergartner will need to be able to carry a change of clothes, lunch box, and folder in his or her backpack each day. Another thing parents need to look for is pricing. You do not want to spend an arm and a leg on a backpack for a young child because they will not be gentle on the item. Regardless of how durable a backpack can be, kids are going to be kids and with time, normal wear and tear will occur. You may find yourself replacing a backpack each month. Make sure the cost of these backpacks do not hurt your budget. Which leads me to make sure that durability is the main factor too. You want to make sure you can either wash this backpack each week because kids will get them dirty as they will be placed on floors, in buses and where ever else their little hearts can put it. Kids will want to make sure their backpacks are stylish and the best one in their class. Trying to match up your needs with their needs can be hard and tricky. I do hope these reviews help and you and your little student can find one that you agree on. The most important factor in choosing a backpack is making sure both the parent and the child is happy. Narrow the search down to two different backpacks. Pick one you really like, keeping your child in mind and let your child pick one out that she thinks you would like. That way, either backpack that is picked is something you both will be happy on as your child ventures out into this big milestone of their lives. However, if your kid is about to go to school it would be much better to get a school backpack for them instead.